Ideal performer for low wing beginners to stunt training! Designed for compatibility with both GP and EP flight! When its time to graduate from a beginner trainer, the next step could be this stylish low wing sports plane. The option of either EP or GP in the CALMATO ALPHA 40 Sports allows you to choose your preferred power source. Both embody the definitive stability of the CALMATO series with optimal maneuverability allowing low wing airplane beginners to fly stunts like loops and rolls.  In addition, this kit is factory assembled and expertly pre-covered in quality film with printed coloring and Kyosho’s comprehensive design and construction ensures no gluing is required. The main wing halves are joined with an aluminum pin and can be separated for compact and easy transport. Motor mount, engine mount, tires, spinner and linkage parts are all included. Only a few separate items are needed to get airborne so it’s easy to enjoy the sporty flight performance of this conveniently priced low wing airplane. Factory assembled airplane covered with vivid printed color. The lightweight design realizes calm controllability. Includes motor mount with 25mm mounting hole pitch. Compatible with backplate mounted outrunner motors. Standard 2-cycle 40～46 class engines can be installed without modification. A fuel resistant coating protects the interior for increased durability. Features the aluminum pipe pin to join the main wing halves. Separate the wing halves for easy transportation. Smart wing fixture design requires no tool to bolt on the wing. Independent aileron servos control each aileron. Functions as Flaperon when used with R/C system with mixing. Tricycle landing gear allows stable landings and takeoffs. Rudder connected nose gear provides steering control on the ground. Fuselage structure allows access to fuel tank and battery from the upper part of the nose section for easy maintenance access. Conveniently sized but with plenty of space for access to the R/C system and linkages. Servo bed is fixed so no difficult steps remain to complete.